I just had a great three-day football weekend in Atlanta. 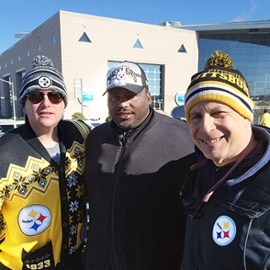 My cousin, Dan Rossman, came in from Pittsburgh, my hometown, and invited me to go to the Falcons-Steelers game with him and several of his friends. We had a memorable weekend and I got an unexpected lesson.